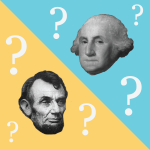 Learning How Well Do You Know the Presidents of the United States? Miscellaneous Knope Vs. Pope: Which Public Servant Are You? Miscellaneous Quiz: Which Blockbuster Movie Patriot Are You?